Anonymous Seller #1 – Sold a home in 2013. "Jim knows the pulse of the Kauai housing market. With his help we sold our condo and bought a lot with an ocean view, in which we are now building our new home. We highly recommend Jim for all your real estate needs." ~Holt & Margo Cloward. Anonymous Buyer #1 – Bought a home in 2012. "Jim understands local real estate — supply and demand, cause and effect — he knows his business. He was wonderful to work with and as an agent he is professional and cares for his clients." Anonymous Buyer #2- Bought a Single Family home in 2010 in Kapaa, HI. Anonymous Seller #2- Sold a home in 2013. Anonymous Seller #3- Bought a Single Family home in 2012 for approximately $4.825M in Princeville, HI. Anonymous Tenant #1 – Helped me rent a Single Family home in Koloa, HI. Anonymous Seller #4 – Showed home in 2012. "Certainly one of the most responsive and experienced Real Estate professionals I have had the good fortune to have known over the last twelve-years. 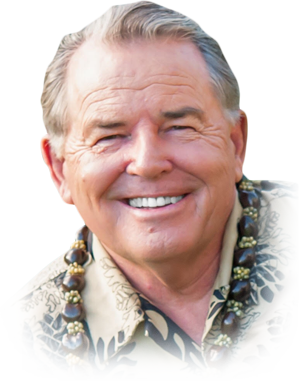 If you have a Hawaii Real Estate need, look no further, you found it, James Pycha!"